This unit allows 2 pairs (each stereo) of speakers to be driven by a single stereo amplifier. Simply connect the output of an audio amplifier to connect to Two different speaker pairs individually or together. 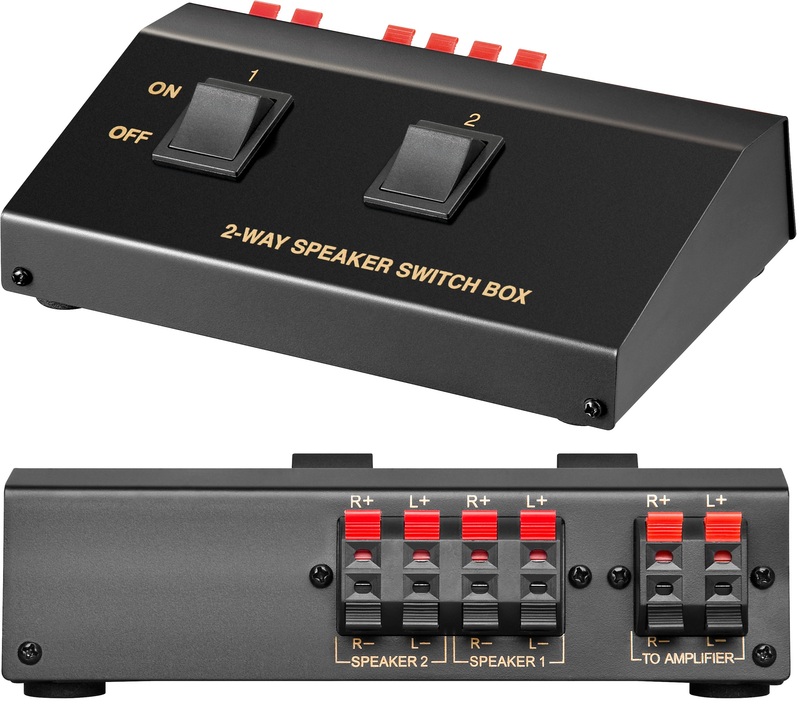 Each pair of speaker can be individually switched on or off via 2 rocker switches. Each speaker is connected by trigger terminals.